4th of July fireworks got you going? 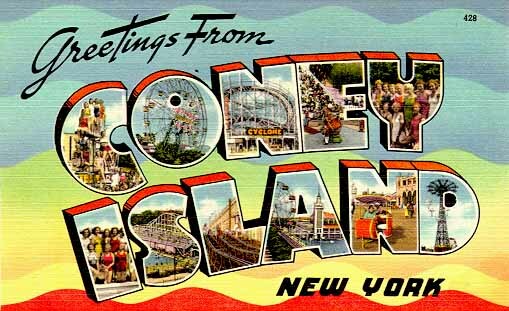 Well for those of you who weren’t already in Coney Island for the Nathan’s Famous International Hot Dog Eating Contest, we suggest you make your way out to enjoy the beach, boardwalk, and famous Luna Park. Many local businesses, including the Coney Island Museum and infamous dive Ruby’s Bar have officially reopened after months of repairs from Hurricane Sandy. Do us a favor and eat a hotdog for us, or 69.